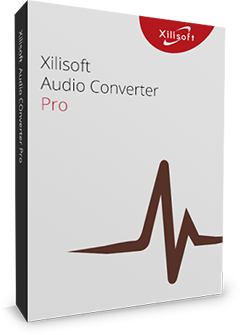 Xilisoft Audio Converter for Mac can convert between audios of different formats and extract audio segments from videos/HD videos. 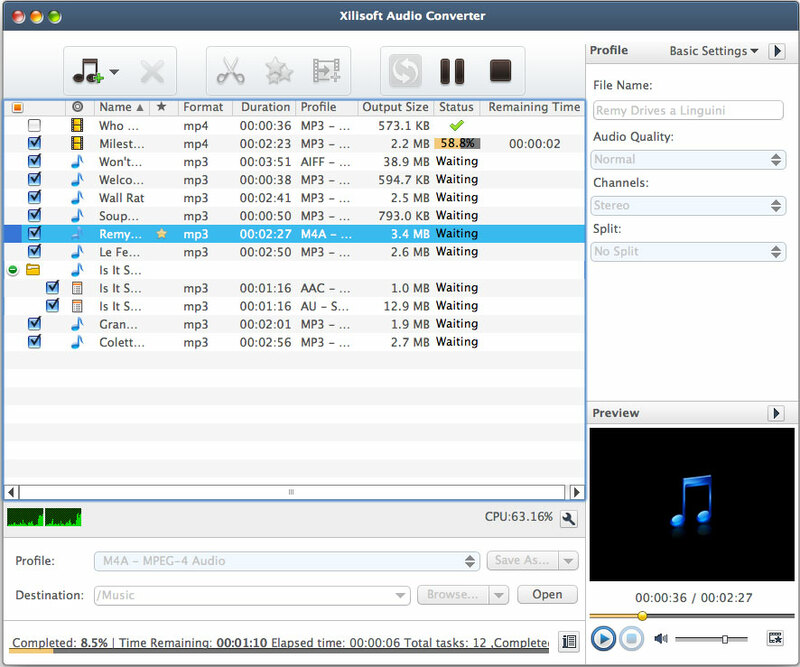 With this amazing audio conversion tool, you can convert between audios in a vast range of formats, including MP3, WMA, WAV, AAC, FLAC, OGG, APE, extract excellent audio segments from popular videos and High Definition videos in format of AVI, MPEG, WMV, MP4, FLV, MKV, H.264/MPEG-4 AVC, AVCHD. 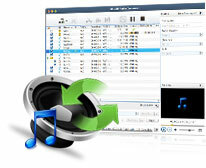 Convert between audio(MP3, WMA, WAV, AAC, FLAC, OGG, APE) formats on Mac at once. Extract audios from standard videos and High Definition(HD) videos in format of AVI, MPEG, WMV, MP4, FLV, MKV, H.264/MPEG-4 AVC, AVCHD and etc to any audio format on Mac. Add and adjust various audio effects before converting or converting, such as fade-in, fade-out, volume normalize, band pass, chorus, flanger, echo and speed of the output and etc. Clip audio by splitting one file into multiple segments according to file size or duration time. Adjust a series of parameters to customize the audio output, edit ID3 tag information of the audio tracks. 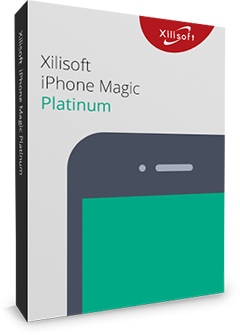 Support nearly all popular audio players including iPod, iPhone, PSP and MP3 players, transfer converted files directly and immediately after conversion. Several lingual interfaces are provided to facilitate users of different countries: Simplified Chinese, English, German and Japanese.